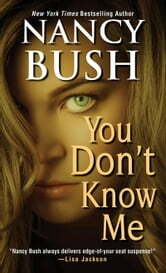 You Don’t KnowMe was the first romantic suspense novel I ever wrote. It was originally published as Tangled in the early 90s under the pseudonym Nancy Kelly. I’m delighted that it’s finally available again in this repackaged edition. Everyone in Wagon Wheel, Oregon, knew that Thomas Daniels was a mean, violent man, twisted by liquor and hate. His stepdaughters, Dinah, Denise, and Hayley, knew it better than anyone. And then, with one desperate act, their lives changed forever. 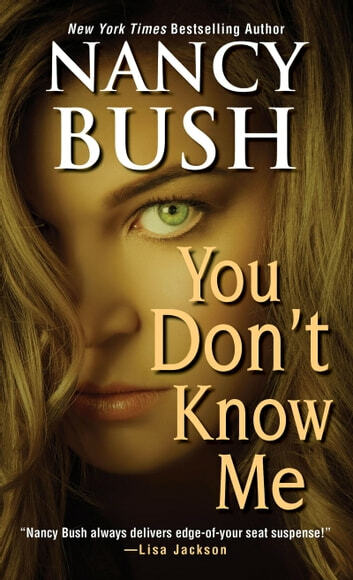 With its new title and new cover, You Don’t Know Me feels like a whole new book to me—one I hope you will enjoy as much as I do! It was a bit confusing at the beginning but once I got past the first couple of chapters, it was a great story. I had to keep remembering who the 2 main characters were, the names being so similar (Dinah and Denise). It was entertaining to read and I will read more of Nancy Bush's novels.